Many people uses MapServer as their Server, so they might need to store shape file as MIF (Map Info File) file on server. The OGR Simple Features Library allows MapServer users to display several types of vector data files in their native formats. For example, MapInfo Mid/Mif and TAB data can be seen on MapServer when using OGR support with it. 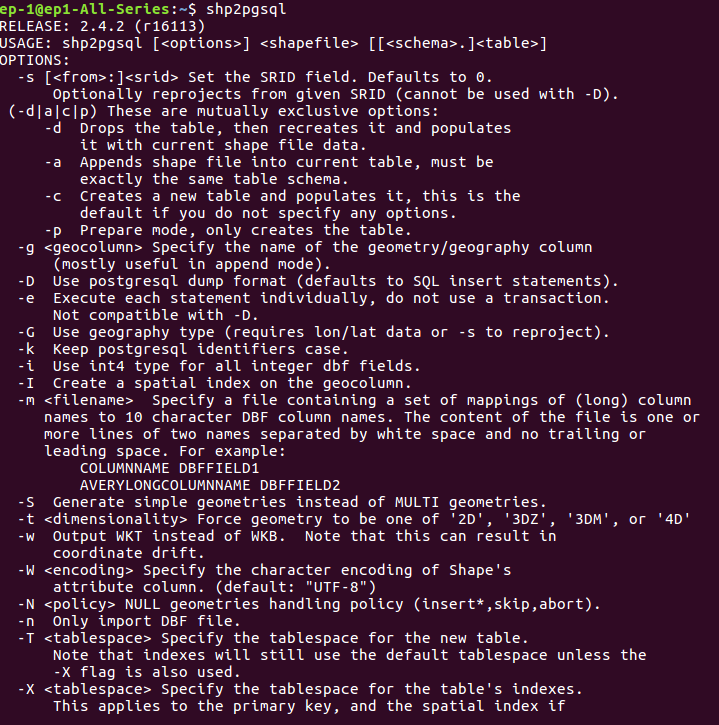 So lets see how to convert Shapefile shp to mif or map info file. MIF (Map Info File) File format used by MapInfo mapping and geographic analysis software. This stores a map visualization in a format that can be recognized by third party applications. Also used as an exchange format between GIS applications. This sometimes accompanied by a .MID (MapInfo data) file that contains additional spatial data. MID files are GIS data files created by MapInfo, a spatial data analysis and visualization software, saves spatial data for a corresponding .MIF (MapInfo Interchange Format) file. Also used for storing larger data sets not expressed in the MIF file. What is Shapefile – collection of geometry with other supported files as shx, dbf, prj ect. ogr2ogr supports some file format MIF is one of them. You can write a simple command to convert your shapefile. Before this you must check for ogr2ogr utility. 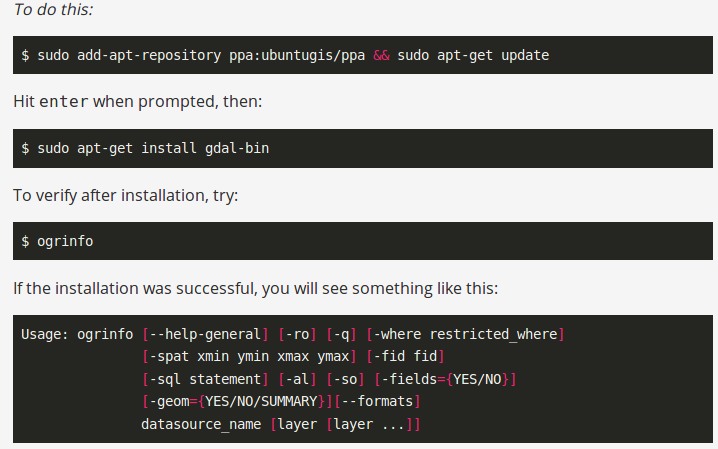 That can be done by typing ogr2pgr in your terminal. After this please check ogr2ogr utility http://www.gdal.org/ogr2ogr.html is available now. You must have shp along with .shx and .dbf file for proper conversion. If you only have shp file you will got an error something like. If you are aware of reading binary file by knowing the file format, you can easily read and parse shapefile and convert the same to any other format. You can check out one such tutorial which I had created to read header of shapefile using c++ or bounding box of shapefile using c++. This same work can be done in PHP using shelll_exec() method, which execute the command and gives output as string. The following function describes the $query variable, which takes command as string and given to shell_exec(0 method. The Output will contain .mif and .mid files. You can open MIF file in QGIS software. 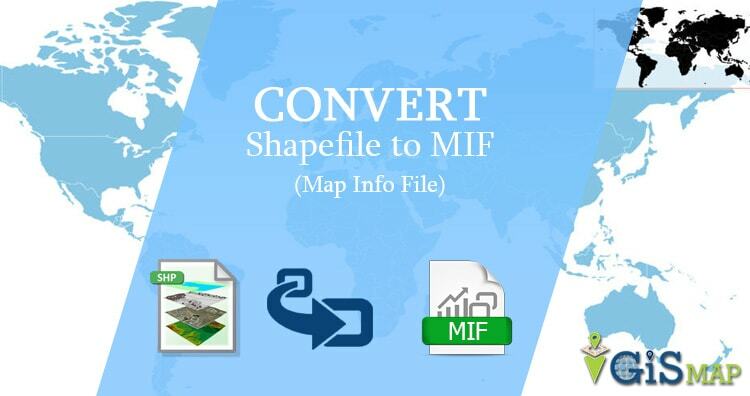 Hope this tutorial helped you to convert your shapefile to MIF (Map Info File) format. There are also various conversion available as- Shape to CSV, GeoJson to topoJson, Shapefile to Topojson , shapefile to kml, shp to ods, shp to gml etc. Please let us know, if any find any difficulty in performing this conversion via commenting in provided box.